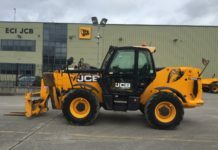 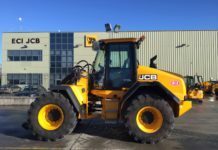 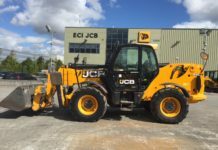 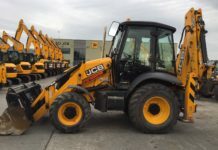 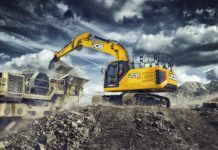 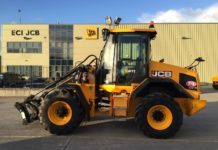 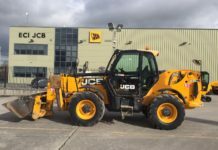 The side mounted JCB 100hp (72.4kW) or 125hp (93kW) engine combined with JCB axles and transmission, ensure reliable drive train performance from well proven components. 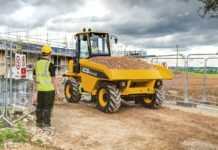 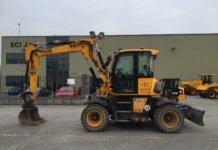 Forward reach of 3.7 metres, lift capacity 4.1 tonnes and lift height of 7 metres. 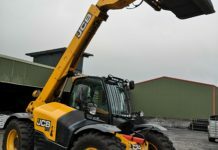 Refuse and recycle buckets and grabs are available on the 541-70 Wastemaster.